The National Television awards took place last month, which showcased the best, worst and just cringe worthy content available to British viewers. 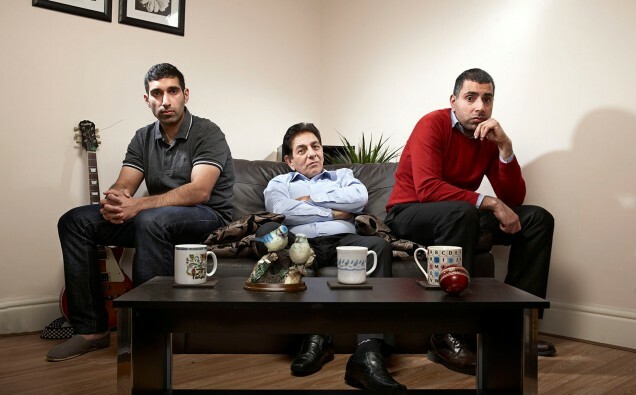 The Best Factual Entertainment was awarded to Gogglebox- a reality show which captures the opinions and reactions of families across the country, as they watch popular shows. The Siddiqui family, who proved a popular hit amongst viewers, collected the award on the night-without running short of that Siddiqui charm! •	Baasit was first asked by his friend who worked on the show, and the others were up for it. •	Baasit’s an IT teacher – unsurprisingly, his pupils are massive fans of the show. •	Umar’s a microbiologist at the Royal Derby Hospital. •	Sid’s wife and two daughters are also big fans of the show, but are a little camera shy to ever want to make an appearance. Since the success of the show, the trio have considered going into The Jungle- from the show, I’m a Celebrity, Get me out of Here!